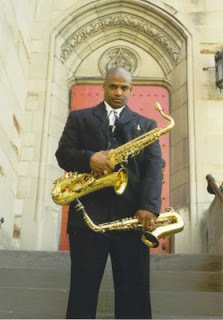 Saxophonist and educator Shawn 'Thunder' Wallace has posted some of his lessons on YouTube. Thunder has some worthwhile stuff on there, despite the silly nickname. James Mahone is a very nice saxophonist who is currently residing in Tokyo. When I was living in NYC in the late 90's James and I played a few sessions together with our mutual friend Matt Otto. James now writes a great educational Jazz blog called Practice Portal, which has some interesting transcriptions with accompanying MP3s. I went to hear trio Fly last Saturday night here in Portland. The trio consists of Mark Turner on saxophones, Larry Grenadier on bass, and Jeff Ballard on drums. I grew up playing with Jeff and Larry, who are also from the Bay Area, so it was great to see them both. I was at Berklee with Mark and we played in a few ensembles together. When I heard that these guys were going to be in town I thought it would be great to try to record with Jeff and Larry while they were in town, but unfortunately their tour schedule was too tight. After you've had a chance to work with those two then it's kind of downhill from then on. Most of the saxophone world has heard about Mark Turner's horrific power saw accident last year where three of the fingers on his left hand were nearly severed. This is of course just about every musician's worst nightmare come true and this news send cold shudders up the spines of saxophonists round the world. Thanks to the marvels of modern medicine Turner is back in action. I think that this was Mark's first major tour since the accident and he certainly didn't sound like there he was having any problems from it, though it did appear that he experiencing pain in his hand. I'd never heard Turner play soprano before. He was playing a Yamaha 62 and had a similar sound concept on it as he does on tenor, ultra hard reed with a wide open mouthpiece. He was getting a nice dark complex tone and had a lot of control of the instrument. Jeff and Mark were killing, but the highlight of the evening for me was Larry. He was so fluid and natural sounding. It never sounded like he was playing any patterns that he had worked out before hand. His technique and intonation were stellar and his sound was fat and rich. To my ear Larry's compositions held together as complete musical ideas. 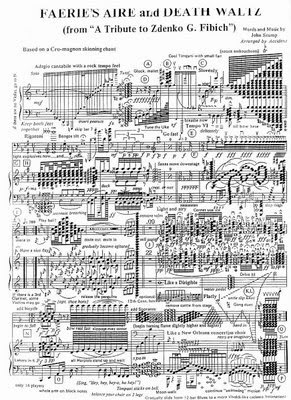 All of the material that the trio played was intricately arranged and incredibly difficult. They definitely have taken the chord-less trio to a new place. I have to admit that I wasn't knocked out by Fly's first CD. Excuse the pun but it seemed that it just didn't get off the ground. After checking out their live show last weekend I'm now quite interested to hear their new recording. These three guys are all monsters and their trio really has some serious wings. If you love the music of Antonio Carlos Jobim then you must check out the Instituto Antonio Carlos Jobim website. On this site you can access the 720 original handwritten scores of the Brazilian master, 77 videos, liner notes, 127 audio recordings, discography, 58 drawings, poems, and much more. This site is an amazing resource for anyone who plays Brazilian music. I've been invited to teach at the Prague International Summer Jazz Workshop this year. The workshop runs from July 18th to the 25th. My old buddy Jeff Ballard taught there last year and told me that he had a great time. I've started looking for other teaching or gigging opportunities in the general area for the the week or two following the workshop. The major cities that relatively close to Prague are Berlin, Budapest, Bucharest, Gratz, Dresden, and Munich. Zurich might also be a possibility. If any of you readers have any leads (or gigs) for me I would greatly appreciate hearing from you. If you're interested in attending the workshop check out the Prauge Summer Jazz Workshop website.